Most readers are aware the fossil fuel industry finances the spreading of doubt about climate change science. But people are less aware of the role played by the “natural”/alternative health industry in promoting doubt about the science of health issues. Author Kavin Senapathy exposes one example of this in her recent Forbes article If You Doubt The Organic Industry Leads The Anti-GMO Movement, This Settles It. OCA is the Organic Consumers Association which is running campaigns opposing GMOs. In particularly the GMO labeling ballot initiatives. Of course, this is the public face of fundraising – behind the scenes payments may have nothing at all to do with the number of donations received from members or persons in the street. 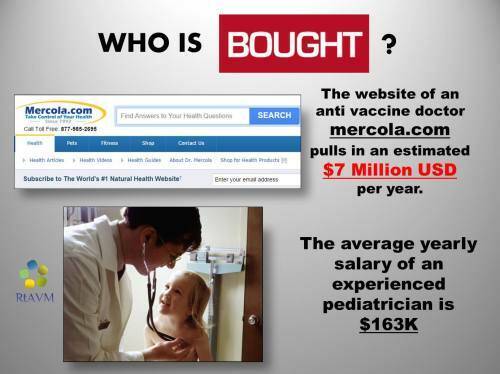 Mercola bankrolls a number of organisations which cast doubt on health science. He set up the Health Liberty Coalition which includes FAN, OCA, an anti-vaccine group [the National Vaccine Information Center (NVIC)], an anti-GMO group [the Institute for Responsible Technology (IRT)], and a group campaigning against amalgam fillings [Consumers for Dental Choice]. An organisationally and financially intertwined coven of activist groups campaigning to cast doubt on the scientific understanding of health issues. Local anti-fluoride campaigners are not strangers to these sort of funding of campaigns either. In Who is funding anti-fluoridation High Court action? I described how the New Zealand Health Trust, a lobby group for the local “natural”/alternative health industry, was funding anti-fluoride High Court action. Legal action which costs a fortune (considering the numbers of appeals they have launched when rejected) but was ultimately unsuccessful (see Corporate backers of anti-fluoride movement lose in NZ High Court). The annual financial returns for the NZ Health Trust and its daughter group, New Health NZ, which fronted for the legal action, show the transfer of hundreds of thousands of dollars from the industry to cover this activity. This financial and ideological support for anti-fluoride activities is not the sole task of big business parts of this industry. Anyone who has sifted through the numerous submissions opposing fluoridation made to local bodies is aware of the high proportion of alternative health practitioners making such submissions. 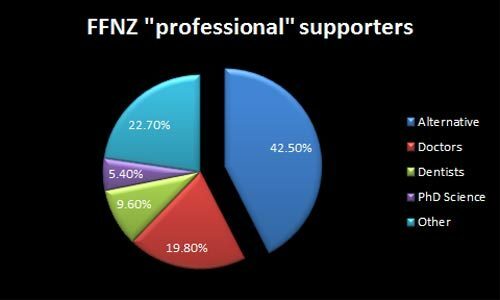 In my article Commercial and ideological support of anti-fluoride activity I analysed the list of “professional” supporters claimed by Fluoride Free New Zealand. This clearly showed a high proportion of “alternative” practitioners are involved – and that is based solely on the declared business interests of the supporters. Ironically, the opponents of science-based health often talk about “money trails” and “shills” in their attacks on vaccination, GMOs and community water fluoridation. Yet these charges should more appropriately be laid at the feet of those campaigners themselves.